For the longest time I've had this beautiful Geisha image sitting on my hard drive. I've always wanted to convert it to a tattoo, but due to the four color channel limitations I was never able to quite get it how I wanted it. But, thanks to Ambition's new tattoo system, I was finally able to put that image to some use! Note: The in-game pics are a tad crunchy due to the way my machine rendered the graphics. However, please see the CAS shots for better details. This geisha tattoo is actually *four* tattoos layered together. This allowed me to give full customization to the tattoo and preserve the tiny details. There are a total of 12 different recolorable areas. Some are so tiny that you can't see a difference in CAS, so I'll list the areas for you, from bottom to top layer. 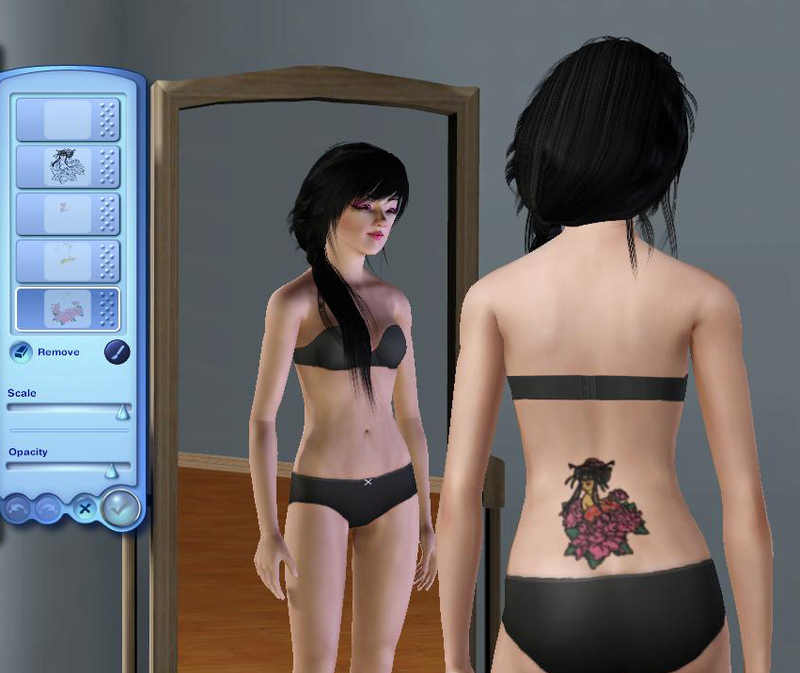 In order to use this custom tattoo you MUST have Ambitions installed! If you have just patch 1.12, but not Ambitions, the tattoo will not show up for you. This tattoo will function just like the EA tattoos do, which means they are available for male/female teens - elder. I found the Geisha image here. The original creator is not listed, but it's a free site and I saw no copy right. 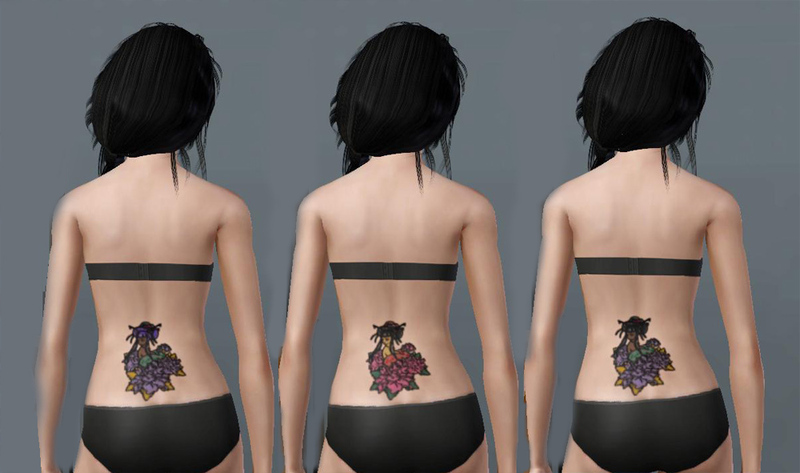 27 H�nz� & Kanji Tattoos + Bonus Items!